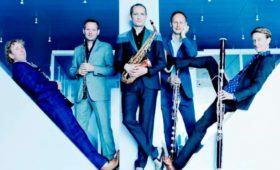 Founded in 1999, The New Professionals is a vibrant ensemble of the most talented London musicians at the start of their careers. 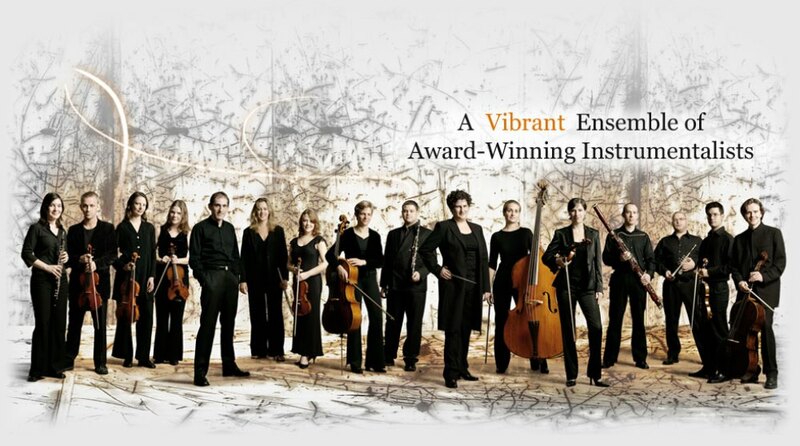 Throughout its history, the orchestra has been acclaimed for innovative programming and dynamic musicianship as well as for juxtaposing rarely performed 20th-century works with fresh interpretations of traditional repertoire. Stile Antico is firmly established as one of the world’s most accomplished and innovative vocal ensembles. Working without a conductor, its twelve members have thrilled audiences throughout Europe and North America with their fresh, vibrant and moving performances of Renaissance polyphony. Its bestselling recordings on the Harmonia Mundi label have earned accolades including the Gramophone Award for Early Music, the Diapason d’or de l’année, the Edison Klassiek Award and the Preis der deutschen Schallplattenkritik, and have twice received Grammy® nominations. As guests, the New Professionals has given several performances at the South Bank Centre – in two critically-acclaimed appearances on the FRESH series, and in a sold-out performance at the Queen Elizabeth Hall. 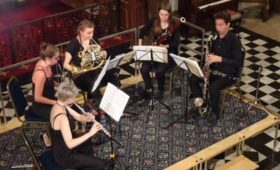 In addition, they have been guests at the Proms at St Jude’s festival in Hampstead, the City Music Society, the Richmond Concert Society, Mayfair Concerts the City Music Society and at Hampstead Parish Church. They have collaborated with the Pegasus Opera Company, Saffron Waldon Choral Society, the Royal College and Royal Academy of Music, and with the London Conducting Workshop. The orchestra’s debut CD, “Lou Harrison: For Strings” was released by Mode Records in 2004, selling out its first pressing in 2 months. The recording, funded with a competitive grant from the Copland Fund, features previously unrecorded music by Lou Harrison with renowned Pipa soloist Wu Man and was acclaimed by Ivan Hewett in The Times. Most recently, music from this CD was featured on the soundtrack of Martin Scorcese’s 2010 film, Shutter Island’. 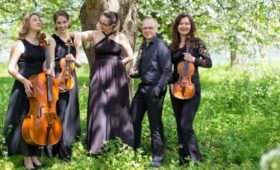 Their second CD was released in January 2011 by Signum Records, and features previously unrecorded works of Pulitzer prize winning composer Aaron Jay Kernis. The CD includes his epic work, “Goblin Market”, with Mary King as narrator, and has already received considerable critical acclaim. Renowned for its programming, the New Professionals enjoys programming familiar works alongside lesser-known repertoire. The orchestra has most recently given the UK premieres of works by Pierre Jalbert and Gabriela Lena Frank, and previously gave the World Premieres of Robert Fokkens’ Violin Concerto with Harriet Mackenzie at the Purcell Room, and of “Intoxicating Orchids”, written for the NPO by Richard Whalley. The NPO enjoys featuring lesser-known works – their production of Milhaud’s little-known opera Le Pauvre Matelot at the 2003 Battersea Opera Festival sold out its entire run and was acclaimed by Opera Now and The Times, and have also featured well-known and eclectic American works – some edited from unpublished manuscripts – including the UK Premiere of a set of orchestral dances by Henry Cowell. The NPO also enjoys education work – and has given workshops at the Royal Academy of Music, Dulwich College, Oundle School, and University College School, and is the resident orchestra for the London Conducting Workshops at the Royal College of Music. A compelling, insightful and energetic force on the podium, conductor Rebecca Miller is acclaimed by press and audiences alike. Her sophisticated music making and evocative command of varied composers and styles, coupled with her ability to communicate with audiences of all ages, have resulted in her increasing demand as a guest conductor throughout the United States and abroad. First Prize winner in the 4th Eduardo Mata International Conducting Competition this past September 2009, Ms. Miller is Artistic Director of The New Professionals Orchestra based in London, England. Born in California, Rebecca Miller completed her studies in piano at the Oberlin Conservatory of Music. She studied conducting at Northwestern University, the Royal College of Music and at the Aspen Music Festival and School.